I have never been a fan of solicitors, whether they represent charities, businesses or simple scams. I don't think I know anyone who is, really. Yet this method of asking for your hard-earned money to be just handed over to complete strangers refuses to die, so one must infer that it works on some level. I find it annoying enough when it happens while I am out and about in the world; however, my annoyance increases exponentially when I am accosted in the privacy of my own home. Ordinarily, as with most of you, I am sure, this occurs via the telephone where I can at least refuse to answer a call from a number I do not recognize. There is a National Call List in Canada but it is virtually toothless; the list of people who are allowed to ignore your request not to be disturbed includes newspaper circulation people; how they got to be above this particular law absolutely befuddles me. Also on the list of "exemptions" are people from whom you've bought a service or product in the past eighteen months, people you've asked about a product or service in the past six months, and people to whom you have given "verbal permission" to be called. Seriously. 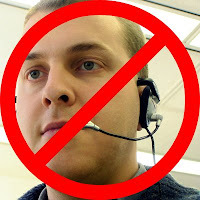 I have no idea how you could ever fight that last one; what is required of the offending telemarketer to "prove" that you have said it's ok to call you at home? Of course many telemarketers are "getting around" this list by farming out their attacks to out-of-country numbers. In the past two months I have received regular calls during the day from Oregon, Washington, Texas, Virginia and California. I have blocked several of these numbers but I have a finite amount of space on my "blocked list" so many still get through. Whenever one does I immediately check it out online (via the myriad "Who Called Me?" types of pages on the net) to make sure it isn't anything important. So far, every single one of the calls from those states has been (according to people who have answered the phone and written about their experiences) from companies trying to sell time shares or credit cards. Or both. The one thing I will say about these calls, though, is that they come during the day and not at dinner time or on the weekends. I imagine they are targeting seniors in this way. When we are called at dinner it's usually by one of the "legitimate" marketing campaigns. During the past few elections a couple of local candidates' support crews have called on the phone or knocked at our door on multiple occasions during the supper hour. I have written and called the candidates directly to complain about this; I always receive a half-hearted "apology" and, shortly after that, another call or visit at the same time of day. I will never, ever vote for someone who does this and, despite my having explained this at great length to more than one person, it still keeps happening. (For those wondering: it's not restricted to any one political party.) The Canadian Blood Services is bad for this, too. They call and leave messages; surely this can be done at any time of day, but they insist on calling between 6 and 7 PM and I have complained about it on numerous occasions. I think it all goes back to the erosion of empathy and the lack of common sense that are the hallmarks of this millennium. What set me off on this topic tonight, however, was something even more egregious, in my opinion. At about 5:45PM this evening, I was startled by a very heavy knock on the door to our apartment. I looked through the peephole and saw a man and a woman standing in the hallway with their backs to me, having obviously just knocked on the door opposite ours. I was convinced they were representing Bell or Rogers (who are constantly leaving little notes in our door trying to get our business; Bell already has our business so it's more annoying coming from them) so I opened the door to ask them to please stop bothering us. I normally ignore stray knocks at the door because I really do not like to be disturbed at home unless it's by someone I know or it's an emergency, but this time I was ready to give them a piece of my mind. However, to my surprise, these two people were in my hallway representing Sunnybrook Health Centre. When I realized my mistake I stopped the man (who had already launched into a frenetic spiel) and told him I couldn't help them out because I am not working and have no money to give. I was really quite specific and very apologetic; I figured that would be the end of it right there. But he told me that they were absolutely not there to ask for money and they just wanted to tell me about their services. Or something. I didn't really get the thread. He then handed me a laminated single-page brochure or leaflet or whatever it was from the hospital and continued with his patter. Every few seconds he tossed in the assurance that they were absolutely not there asking for money. He also kept talking about how Sunnybrook was part of my "community" (it's really not) and mentioned something about a new "program" (by which he seems to have meant "fundraising drive") that "won't even be starting until August". And then he said it would only need a couple of bucks a month from "people like [me]" to fund it. I stopped him right there and said, "No, thank you. I told you I had no money and now you are asking for money despite promising me you would not. Goodbye." And I shut the door on them. I have since tweeted to Sunnybrook about this issue and they immediately said they would "pass my concerns along", although they never really got around to apologizing, so my thought is they are not really concerned with my complaint. We'll see if I ever hear back from them. My money is on "no". So we have "progressed" from aggressive marketing tactics and sob stories to outright lying right to my face at the door of my home. I am furious with these solicitors for how they conducted themselves tonight (although, to be fair, not a word was uttered by the woman of the "team" so this is really all on the man's shoulders). In the first place, they should not even have been in our building without permission. In the second place, this is an economically-depressed area of town and where Sunnybrook is located - at Bayview and Lawrence - it most assuredly is not, so why are they sending teams of unethical people all the way out here to bother us? But it also worries me on a whole other tangential level: as I begin to work out the kinks of getting my own business started up I have to wonder what sort of tactics I will need to resort to to get my own word out? Will I fail at becoming known to the business community because I simply refuse to play that sort of game? Is there any hope left for people who prefer to use a "soft-sell" approach that actually presumes the person you are approaching has half a brain and some sense of decency? If respecting others is still an effective way to drum up business then why are so many companies and individuals so nasty and unethical? I have to hold out hope that there still is a place in the world for the good corporate citizen in this day and age; otherwise I will simply be wasting my time. I guess I'll soon find out. I have received a reply to this blog piece from Pamela Ross, VP of the Sunnybrook Foundation. It's in the comment section and I thought it prudent to direct you to it from here, since I don't know how many people who read my blog continue on to the comment area. It's apologetic and explanatory and much appreciated. I hope you read it. Thank you. The soft sell approach will certainly work with me GP. Just ask the Rogers people who have been calling me every other day and sometimes twice a day all because my cell plan is about to expire (in October). They now realize it is possible to contruct a 7 word sentence in the English language, of which 5 of those words are another word for fornicate. "They now realize it is possible to contruct a 7 word sentence in the English language, of which 5 of those words are another word for fornicate." This is, literally, my favourite sentence from the past month or so. I would love to make it my facebook status, if that's okay :). 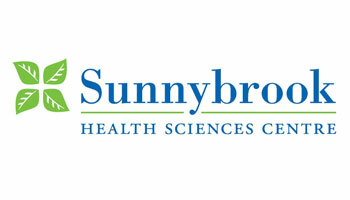 Is Sunnybrook a private hospital or..? It just confuses me why they'd need to do their own funding at ALL :/. All hospitals must do fundraising to get the equipment and services that they need. I do not begrudge the fundraising per se; many people will give to hospitals and other services when they are asked. If I had any money I might consider it myself. What I am objecting to is the way this fundraising team conducted their business tonight. I understand they have to be gregarious and a little aggressive. I understand they have quotas to meet. But I was quite specific about why I cannot donate to their cause and the guy at my door made me stand there awkwardly for much longer than he should have by lying about the reason he was there in the first place. This is not a good practice, in my opinion. When Sarah came home she saw them at another door taking down an email address, so they clearly had some success in our building, but I do not believe they should have been in our building in the first place. Directly to Tim's point, Sunnybrook is a publicly-funded hospital and not a private one. (There are only a handful of private hospitals in Ontario, and most of them pre-date publicly-funded health care.) However, publicly-funded hospitals are allowed to get revenue from other sources as well: this includes sales and concessions (parking, cafeterias, etc), as well as fundraising. Most hospitals have foundations which carry out these fundraiising operations, hand out tax reciepts, and so on. Technically, it is the hospital foundations which do the fundraising (you'll notice that the reply below came from the VP of the Sunnybrook "Foundation"). I think they have to have this separation for legal and tax purposes, but I'm not sure what they are exactly. I think it is just a technical distinction, though. When you give to the foundation, you are for all intents and purposes giving to the hospital. Outstanding information. Thank you so much for sharing it! Hi there, Grumpy Penguin. First let me say that I'm very sorry that our fundraising efforts have left you upset. That is never our intention. All hospitals need to raise money to pay for new construction, research and equipment that isn't funded by the government. Speaking to people at their doors has been a very effective way for us to find people who want to help Sunnybrook. Again, I am very sorry that the approach taken with you was off-putting. I will absolutely ensure that the people who do this work on our behalf are instructed to be completely open and transparent about why they are at a person's door. I appreciate very much your feedback. It gives me an opportunity to improve our outreach. Should you want to discuss this further with me, my email address is pamela.ross@sunnybrook.ca. Thank you Ms. Ross. I appreciate your comment and the apology. I think if this sort of approach had been taken by...shall we say, "less scrupulous" businesses than your own, it wouldn't have been nearly as off-putting. I hold places like Sunnybrook to a higher ethical standard than, say, Rogers or Bell. Perhaps when someone who answers their door in good faith immediately says they are not working and have absolutely no money to donate right now, the better approach would be to thank them for answering their door and perhaps to leave some literature to be considered for a future time? 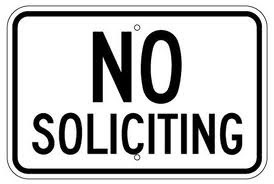 It wasn't as much the door-to-door soliciting that bothered me - although it does, to be sure, but it's obviously a tactic that will continue - but rather the lack of respect for my position and the misdirection of the man who said they were not asking for money. That is the part that is truly unacceptable and I thank you for taking this complaint seriously, both here and on Twitter. Your suggestion is a great one and I will use it. Appreciate it very much. Thanks again for the feedback. And thank you for taking the time to comment here and set the record straight. I really do appreciate it and it's impressive how quickly and politely you have responded. I know that's a concern of the public with many foundations. I have received a couple of comments on my two pieces about the Jays Care Foundation saying pretty much what you are saying. I like to take each "worthy cause" on a case by case basis and I always check out the allocation of money received before I donate. It's a lot easier to do with the internet than it ever was before. I suspect it may be why some places still go door-to-door, but I do urge anyone who signs up to donate money under pressure to do their due diligence as soon as possible after the fact. And never hand over cash unless you are 100% sure of where it is going.